How to play purchased iTunes M4V movies or M4A music on LG V30 freely? The LG V30 is packed with powerful hardware, including a fast Snapdragon 835 SoC and plenty of memory, while a 6-inch OLED screen occupies nearly all of the phone’s front for a modern and sophisticated look. The back is adorned by a 16MP main camera and a 13MP wide-angle shooter, both of which can be controlled manually when shooting photos or video. All of this is fitted in a glass-and-metal body with water resistance and wireless charging on board. If you own movies in MP4, 3GP, AVI and WMV formats, those movies can be played on LG V30 really easy. Just connect your smartphone to the computer via USB drive. So you can drag and drop any video files you want to it very easily from your PC to LG V30. However, the problem is that, it could be hard for you to download movies from iTunes to your computer because of DRM copyright protection, let alone transfer iTunes movies/music files to LG V30. Although you have purchased or rented the iTunes movie, you still unable to play it at will. Is there any efficient method to play iTunes M4V movies on your LG V30? Can I play iTunes M4A music on LG V30? The answer is YES. You can use iTunes to LG V30 Converter – aPubsoft Video Converter. It can remove DRM protection from iTunes movies/music and convert to LG V30 supported formats. Best part is, you can load any iTunes files to the program, including iTunes movies, Rentals, TV shows and music. LG V30 iTunes Converter offers both Windows and Mac version for you. So how to transfer iTunes movies and music to LG V30 easily? Just keep reading. Install and launch aPubsoft Video Converter as the best iTunes to LG V30 Converter on your computer. Click “Add File” button to import iTunes M4V movies or M4A music files you want to convert. Batch conversion feature allows you to import multiple iTunes files to convert. As we know, H.264 MP4 and MP3 is perfect format for LG V30 support. So you need to click “Profile” drop-down list to select the output format for LG V30. 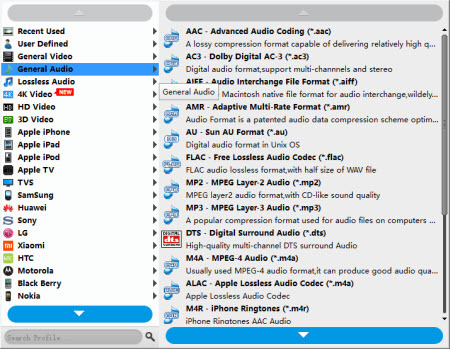 Here we can choose “HD MPEG-4 Video (*.mp4)” as output video format under “HD” category, “MP3 MPEG Layer-3 Audio (*.mp3)” as output audio format under “General Audio” category. After all settings done, now hit “Convert” button to convert iTunes M4V to MP4, M4A to MP3 for LG V30 with original quality. After iTunes to MP4/MP3 conversion, you can click “Open Folder” button to get the generated .mp4 or .mp3 files. Then, transfer these files to your LG V30 for playing. That’s all, enjoy yourself! Tip: Since LG V30 don’t have the drive for Blu-ray playback, in order to make Blu-ray movies playable on LG V30, you need to rip Blu-ray/DVD to LG V30 supported video formats like MP4 first before transferring them to your device. aPubsoft Blu-ray Ripper is a good choice for ripping Blu-ray and DVD movies to LG V30 compatible video files with fast ripping speed and excellent output video quality. The LG Q8, IP67 certified, comes with a 5.2-inch main screen with 1440×2560 pixels and an additional small always on display right above it. On the back, the Q8 has a fingerprint scanner, and a dual camera (13 MP + 8 MP) for wide-angle photos and 4K video recording. The front-facing camera is a 5 MP wide-angle one. Also on board are a Qualcomm Snapdragon 820 processor, a Hi-Fi DAC (digital to analog converter) for superior audio quality, 4 GB of RAM, and 32 GB of expandable internal memory. If you own movies in MP4, 3GP, AVI and WMV formats, those movies can be played on LG Q8 really easy. Just connect your smartphone to the computer via USB drive. So you can drag and drop any video files you want to it very easily from your PC to LG Q8. However, the problem is that, it could be hard for you to download movies from iTunes to your computer because of DRM copyright protection, let alone transfer iTunes movies to LG Q8. Although you have purchased or rented the iTunes movie, you still unable to play it at will. Is there any efficient method to play iTunes movies on your LG Q8? Can I play iTunes M4A music on LG Q8? The answer is YES. You can use iTunes to LG Q8 Converter – aPubsoft Video Converter. It can remove DRM protection from iTunes movies/music and convert to LG Q8 supported formats. Best part is, you can load any iTunes videos to the program, including iTunes movies, Rentals and TV shows. LG Q8 iTunes Converter offers both Windows and Mac version for you. So how to transfer iTunes movies and music to LG Q8 easily? Just keep reading. Install and launch aPubsoft Video Converter as the best iTunes to LG Q8 Converter on your computer. 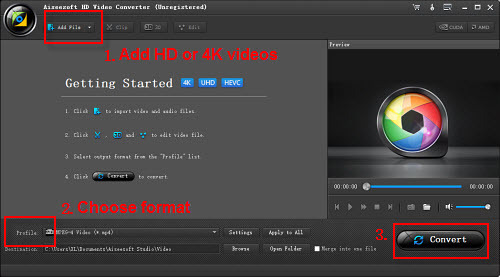 Click “Add File” button to import iTunes M4V movies or M4A music you want to convert. Batch conversion feature allows you to import multiple iTunes M4V and M4A files to convert. As we know, H.264 MP4 and MP3 is perfect format for LG Q8 support. So you need to click “Profile” drop-down list to select the output format for LG Q8. Here we can choose “LG Q8 (*.mp4)” as output video format under “LG” category, “MP3 MPEG Layer-3 Audio (*.mp3)” as output audio format under “General Audio” category. After all settings done, now hit “Convert” button to convert iTunes M4V to MP4, M4A to MP3 for LG Q8 with original quality. After iTunes to MP4/MP3 conversion, you can click “Open Folder” button to get the generated .mp4 or .mp3 files. Then, transfer these files to your LG Q8 for playing. That’s all, enjoy yourself! Tip: Since LG Q8 don’t have the drive for Blu-ray playback, in order to make Blu-ray movies playable on LG Q8, you need to rip Blu-ray to LG Q8 supported video formats like MP4 first before transferring them to your device. aPubsoft Blu-ray Ripper is a good choice for ripping Blu-ray movies to LG Q8 compatible video files with fast ripping speed and excellent output video quality.